USATF Natl. Outdoor Championships–2006: Silver in the 200M. USATF Natl. Outdoor Championships–2006: Bronze in the 100M. USATF Natl. Indoor Championships–2007: Bronze in the 200M. USATF Natl. Outdoor Championships–2007: Bronze in the 200M. USATF Natl. Outdoor Championships–2009: Silver in the 100M. USATF Natl. Outdoor Championships–2009: Silver in the 200M. USATF Natl. Outdoor Championships–2009: Bronze in the 400M. Natl. Senior Games, Palo Alto, CA–2009: Bronze in the 400M. 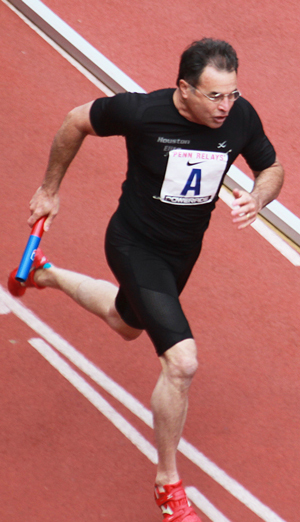 World Masters Games, Sydney Australia–2009: 4th in the 200M. 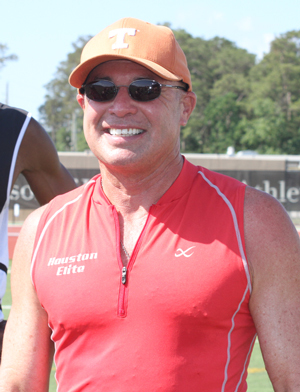 World Masters Games, Sydney Australia–2009: 4th in the 400M. USATF National Indoor Championships–2010: Bronze in the 400M. Recent Performances: USATF National Indoor Championships–2010: Bronze in the 400M. USATF Natl. Outdoor Championships–2011: Gold in the 400M. USATF Natl. Outdoor Championships–2011: Silver in the 200M. USATF Natl. Outdoor Championships–2011: Bronze in the 100M. USATF Natl. Indoor Championships–2012: 4×200 Relay World Record. USATF Natl. Indoor Championships–2012: Bronze in the 200M. USATF Natl. Indoor Championships–2012: Bronze in the 400M.